2. River Arts District: Located near downtown Asheville, more than 180 working artists have set up shop in the River Arts District. Many of these studios are open on a regular basis. 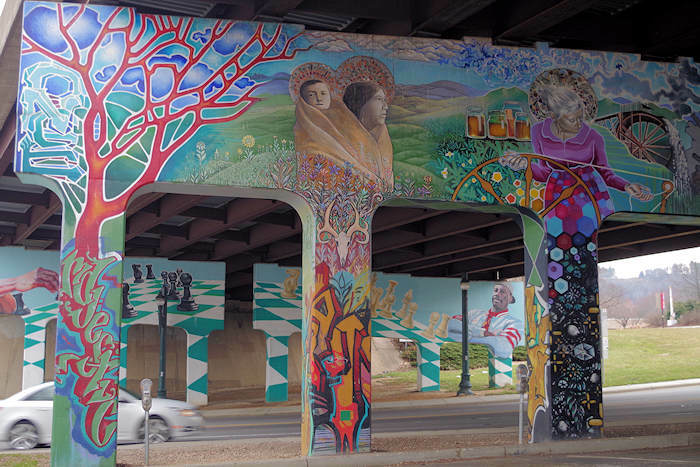 Read more about the River Arts District. 3. Folk Art Center: This must stop on the Blue Ridge Parkway showcases the finest in traditional and contemporary craft of the artists of the Southern Appalachians. Located just eight miles from downtown Asheville, it houses the Craft Shop, exhibitions in three galleries, a library and an auditorium. Often, artists are giving demonstrations for visitors. Read more about the Folk Art Center. 4. Studio Tours: Throughout the year, many area artists open the doors to their studios for special "open house" tours, usually on weekends. 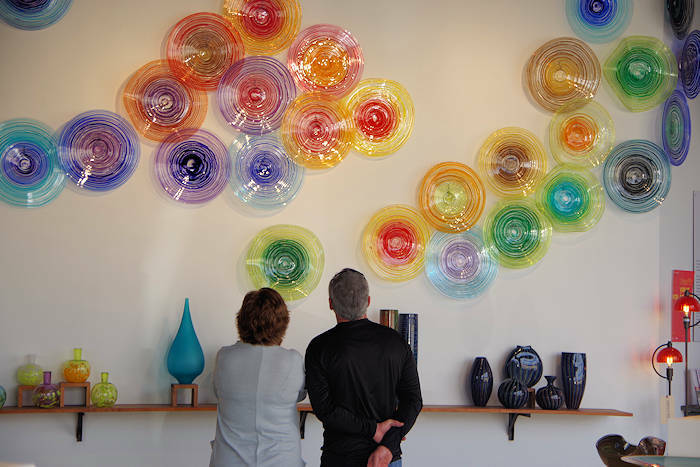 Some of our favorites include the River Arts Studio Stroll, Kenilworth Art Studio Tour, Weaverville Art Safari, and the Toe River Studio Tour. 5. Biltmore Estate: George W. Vanderbilt's diverse and cultured tastes influenced his travels throughout Europe and the Orient to purchase paintings, porcelains, bronzes, carpets and furniture. All of it would eventually become part of the collection of objects still in Biltmore House today. It is often the collection, reflecting Vanderbilt's personal interests and tastes, which guests find most fascinating. See artworks by Renoir, Sargent, Whistler, Pellegrini and Boldini that adorn the walls and, in one case, the ceiling. The furniture includes designs by Sheraton and Chippendale. Eight 16th century Flemish tapestries hang in the Banquet Hall and Tapestry Gallery. Read more about Biltmore Estate. 6. Biltmore Village: Located across from the entrance to Biltmore Estate, Biltmore Village is another great area to stroll from shop to shop. Find several galleries here, including New Morning Gallery. Most businesses are housed in historic cottages and buildings. Tree-lined streets, brick sidewalks and classic architecture (including the Cathedral of All Souls) make the area a delight to explore. Read more about Biltmore Village. 7. Architecture: If you are a lover of architecture, Asheville is a must see. In addition to the elaborate Biltmore Estate, the famed Grove Park Inn, and many grand historic homes, downtown has an amazing mix of architecture with buildings and monuments designed by famous architects. Among the highlights are the Basilica of St. Lawrence, the Grove Arcade Public Market, and Ellington’s Art Deco City Hall. A great way to enjoy Asheville's downtown architecture is via the Urban Trail. 8. Events: With the many artists in the area, naturally there are many art events, tours and festivals, including Biltmore Village Art Fair and Art in the Park. See our list of the top art events and festivals. 9. 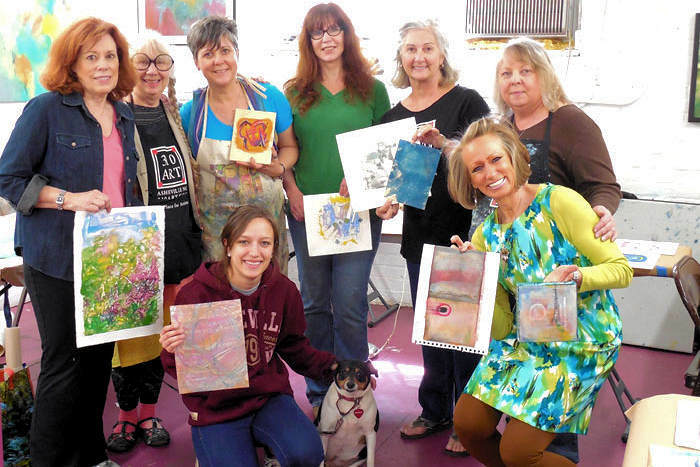 Hands On: Take a class and become an artist, if only for a day. Read about painting and pottery classes in the River Arts District. Also, take a one to eight week workshop at the highly respected Penland School of Crafts, a national center for craft education. Read more about Penland School of Crafts. 10. Performing Arts: For theatre, dance, symphony and more, there is plenty to choose from. Summer brings many additional options with the Brevard Music Festival and Folkmoot. See our guide to Asheville performing arts. See the work of 25 local artists in this large gallery in the River Arts District featuring contemporary painting, sculpture, mixed media, jewelry and photography. Plus, see studios of five resident artists working and demonstrating daily. And take a big variety of workshops. Open Monday-Saturday. 191 Lyman Street.